The above charity was formed following the purchase of the new Village Green from Norfolk County Council (NCC) in 2012. It was formally registered with the Charity Commission on 22nd July 2014. In May 2015 the Charity opened the newly installed play equipment for the use of all children under 13 years of age. 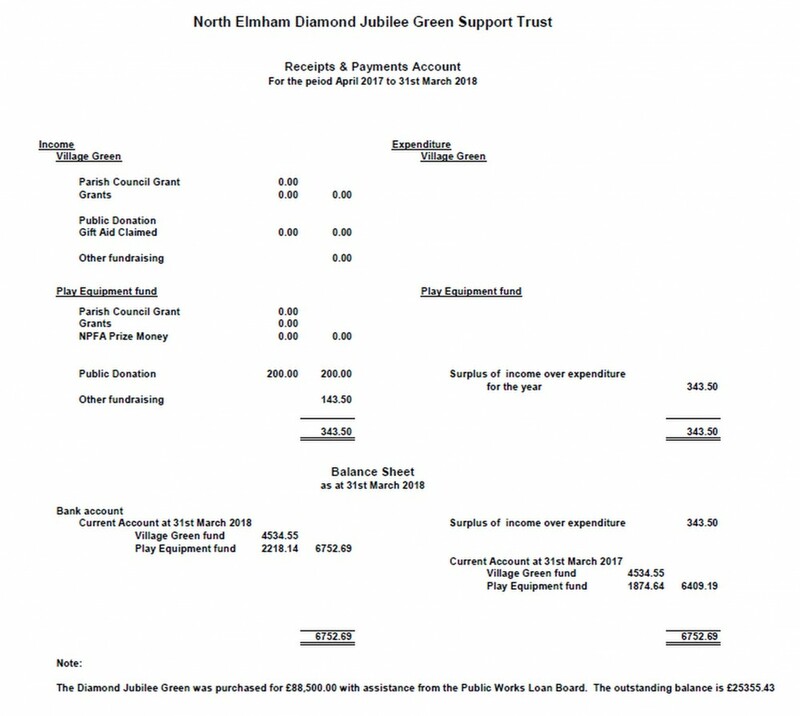 The Parish Council declares that it shall hold all such sums raised by private subscription for the purposes of the Trust and allow any further sums which may in future be contributed to the Trust for the following charitable purpose, namely to provide in the interest of social welfare, a public village green for the use of the inhabitants of North Elmham and surrounding areas for recreation and leisure time occupation to be known as Diamond Jubilee Green.